All kid's birthdays last a week, right? First, there was the actual birthday, with a new mountain bike & a fancy hibachi dinner at Sakura...his favorite restaurant. Then the actual birthday party. First, a Bridgeport Sound Tigers game with the buddies. Then cake & presents with family, at our house. And, finally, cupcakes at school yesterday. He got lots of wonderful & thoughtful gifts. A few stood out as ones I will definitely look out for next time one of the Bozo's has a birthday party to attend. First, is this Color-In Tattoo Kit from Creativity for Kids. It comes with black & white temporary tattoos, that you can color in with tattoo markers. 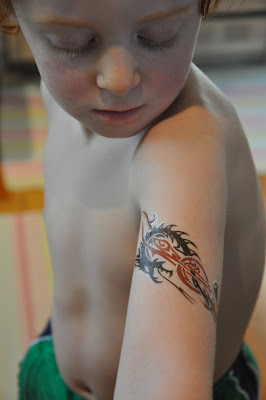 Or, you can use the markers to make your own freestyle tattoos. We've been having a blast using it! He also got another great one from Creativity for Kids. (I love their stuff) This one is a Shrinky Dink kit. 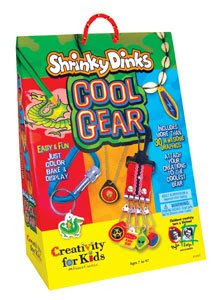 As a kid, I loved Shrinky Dinks, and thought starting up my own Shrinky Dink jewelry company would be a great idea. That's why I love this. It includes everything you need to make keychains & necklaces. And last, but not least, is a living EcoSphere from his Mima. It is one of the coolest things ever! 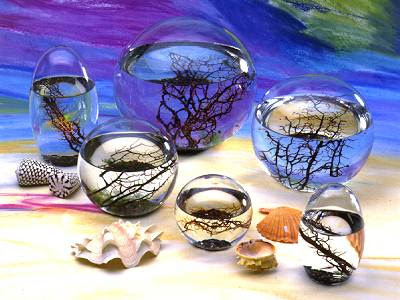 The Original EcoSphere® is the world's first totally enclosed ecosystem - a complete, self-contained and self-sustaining miniature world encased in glass. Easy to care for, an EcoSphere is an incredible learning tool that can provide powerful insights about life on our own planet... and provide a glimpse of technology that's shaping the future of space exploration. It contains 4 tiny, bright red, shrimp & enough green algae for them to survive. The last thing I need is another pet to care for. But, these pets only require 6-8 hours of indirect natural, or artificial light a day, and nothing else. They live an average of 2-3 years, but can live past 10. It is a truly fascinating & beautiful little world your child can witness & learn from. This soup is reminiscent of Indian dahl. I love the addition of squash, which sweetens the soup. I found this recipe on Epicurious. It makes about 6 servings. and 2 tablespoons of minced fresh ginger. Heat 3 tablespoons of canola oil & 2 tablespoons of unsalted butter in a large stockpot, over medium heat. Add the vegetables along with 1 teaspoon of kosher salt & cook until they become tender, about 15-20 minutes. Then add 1 tablespoon of curry powder & saute for a few more minutes. 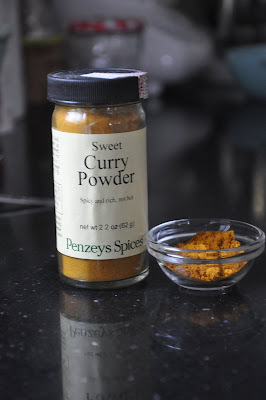 The recipe recommends Madras curry powder, but I used sweet curry...just because I prefer it. Next, add 1 cup red lentils, that have been rinsed & picked over. Along with 2 quarts of water. Bring this to a boil & simmer until the lentils are tender, about 30 minutes. This soup can be eaten alone, or ladled over some basmati rice, for a more hearty meal. I thought it was especially delicious after a day in the fridge. Yesterday, a friend took us to go see the Tibetan Buddhist monks from the Drepung Gomang Monastery constructing a sand mandala. They are building the mandala over a 5 day period at the Friends Meeting House in Wilton, CT. It is made using colored sand that is slowly tapped through metal funnels, to create intricate designs. I had seen them, some time back, but it was a first for the Bozos...who were pretty astonished at the work that goes into it. Once the sand mandala is finished, they disperse the sacred sands into a body of flowing water. This signifies the impermanence of worldly things. They will be performing this ceremony at Calf Pasture Beach, in Norwalk, this Saturday at 10am. Here he is with his birthday present...a super dope new ride. One of the many, many reasons I loved visiting my grandmother as a kid, was because she usually had Swiss Miss pudding in the fridge. Butterscotch has always been my favorite. The Bozos have inherited my love for anything Butterscotch. So, for Valentine's Day I made them this for dessert. It's super easy. I found the recipe in this months issue of Gourmet magazine. But, it's also available here. It makes 4 servings. Start by putting a 1/2 cup of dark brown sugar in a medium saucepan. and a 1/4 teaspoon of salt. and a 1/2 cup heavy cream. Place on the stove & warm it over medium heat, stirring frequently, until boiling. and measure out 1 teaspoon of vanilla extract. Once the mixture comes to a boil, stir constantly, for 1 minute. Remove from the heat & stir in the butter & vanilla extract. 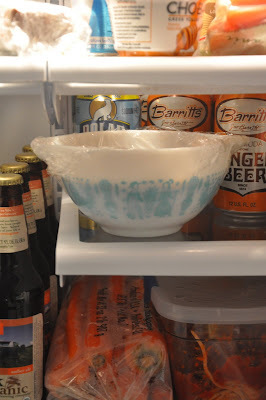 cover with plastic wrap (to prevent a skin from forming). Chill for 1 1/2 hours, or until ready to serve. Whisk the brown sugar, cornstarch and salt together in a medium, heavy bottomed saucepan. Add the milk and cream; whisk to combine. Set the pan over medium heat and bring to a boil, whisking frequently. Boil for 1 minute, whisking constantly. Remove the pan from the heat and stir in the butter pieces and vanilla. Pour into a bowl and cover the surface with buttered wax paper, or plastic wrap, to prevent a skin from forming on top of the pudding. Chill for at least 1 1/2 hours before serving. I'm a big dork. But, I am so excited about my Valentine's present! It's the newly released iLife '09 software for my MacBook! I also received this sweet Valentine from Bozo #1. It's is hard to read his 1st grade, phonetic, style of writing. But, translated, it says..."I love you more than tubing in Vermont on a cold winter day." I hope everyone has a wonderful Love Day!! 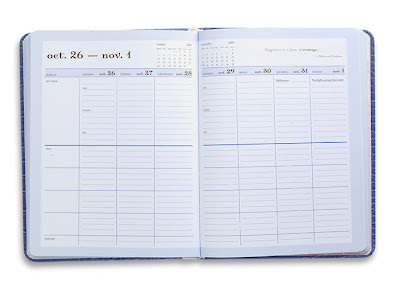 I've never been one for daily planners. 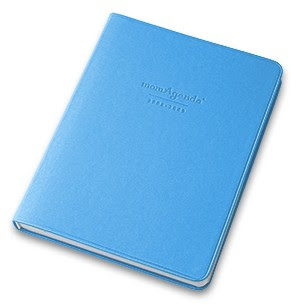 But, this one is making my life a heck of a lot more organized! I should of posted this for the New Year, but oh well. If you don't have one yet, get this one! We are just returning home from a long weekend in Vermont. We had such an amazing time! There were mountains of snow to play in & good friends to share the vacation with! There was lots of sledding, igloo making, and some ice skating.